In an atom, the small, dense, positively charged structure at its center, containing the protons and neutrons. In an atom, the small, dense, positively charged structure at its center, containing the protons and neutrons. As these particles are so much heavier than the orbiting electrons, the nucleus contains almost all the atom's mass. 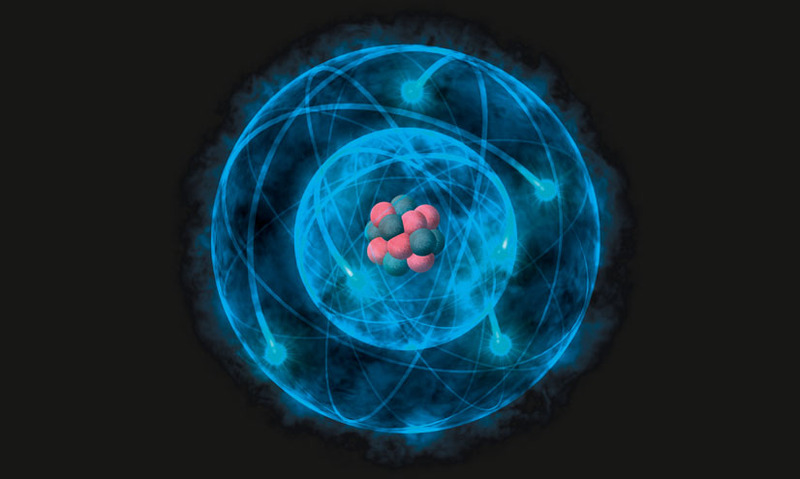 As these particles are so much heavier than the orbiting electrons, the nucleus contains almost all the atom's mass.